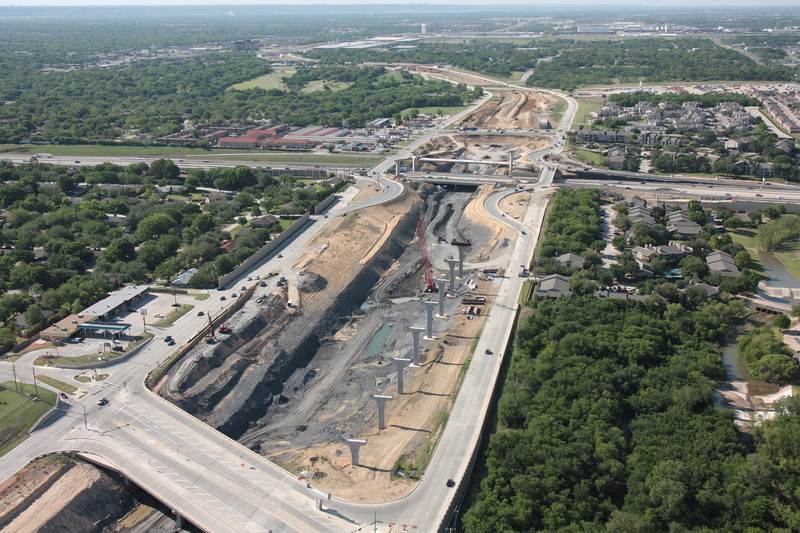 Photo date: 4/16/2011. 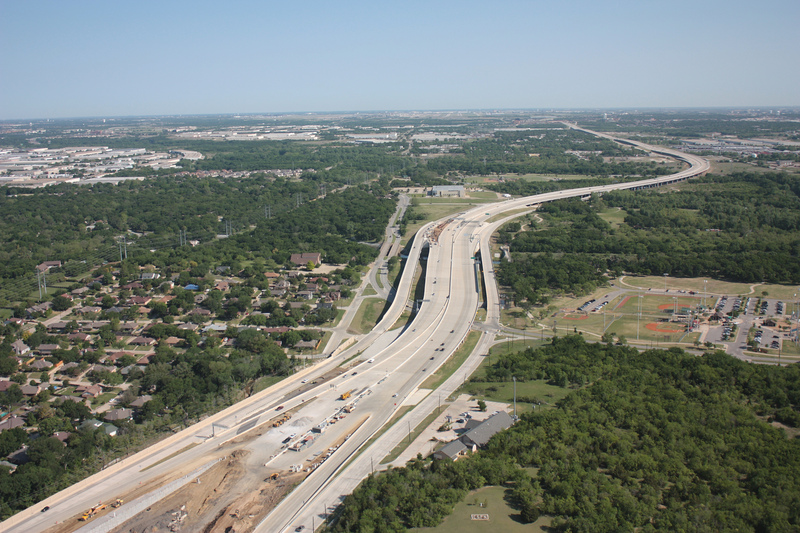 2018 Status: Modified Two managed lanes were added in the SH 114 median in 2017. 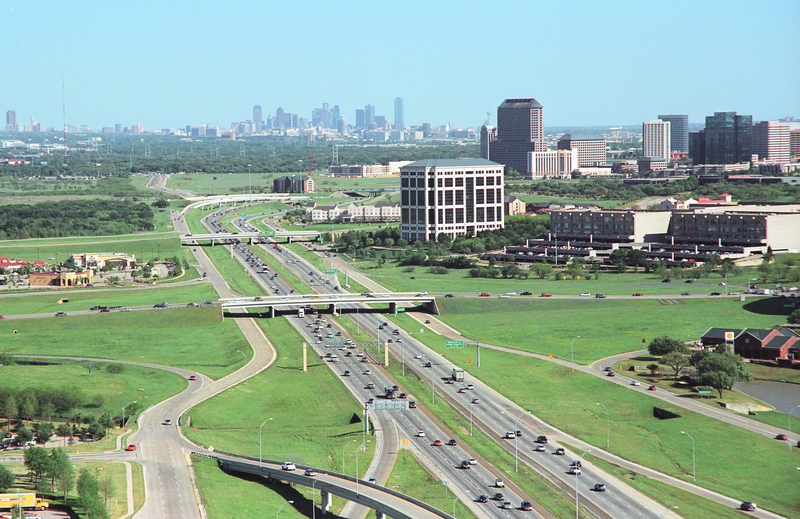 Photo date: 4/11/2005. 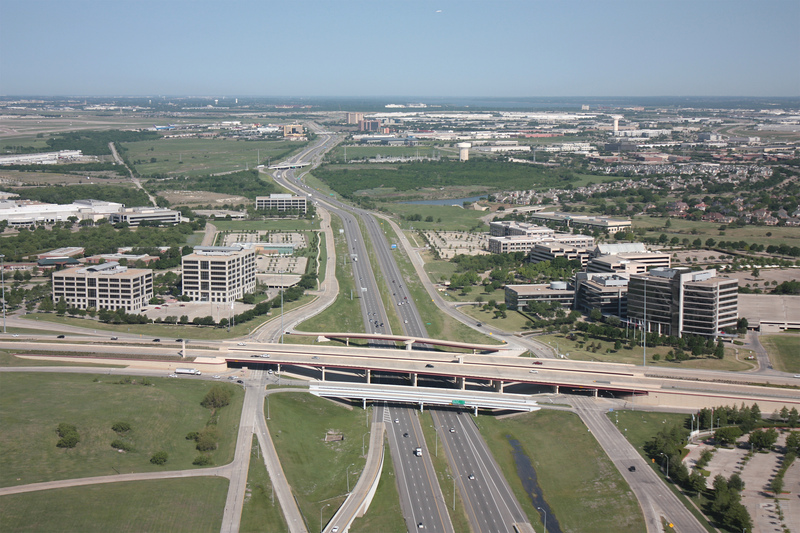 2018 Status: Modified Two managed lanes were added in the SH 114 median in 2017. 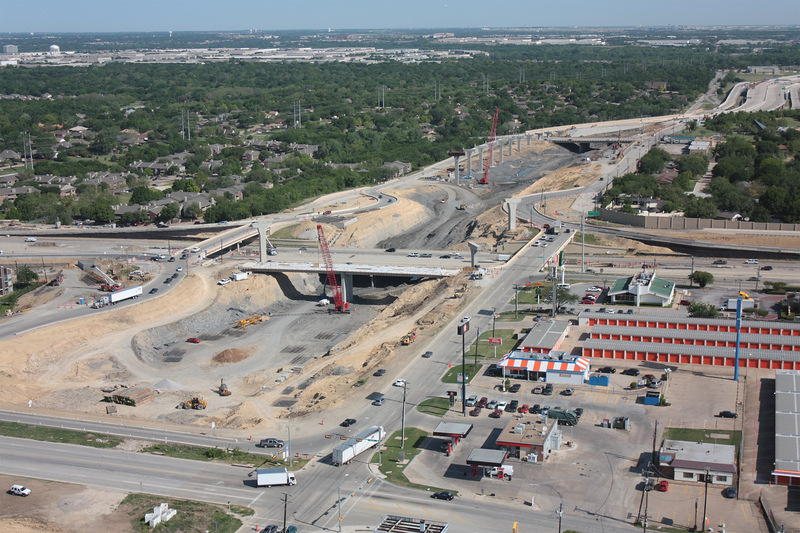 Photo date: 4/16/2011. 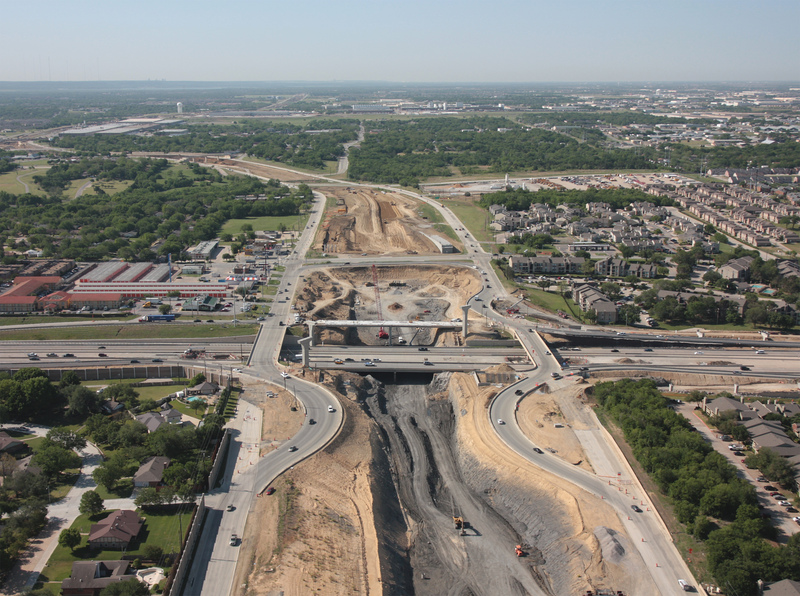 2018 Status: Modified An additional lane in each direction is being added in the median scheduled for 2019 opening. 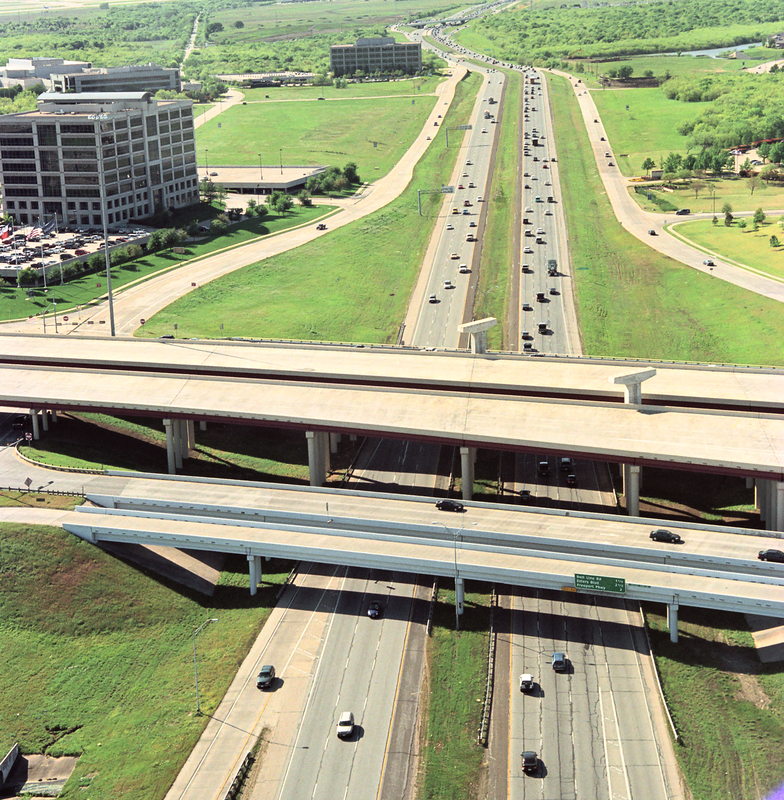 Photo date: 4/11/2005. 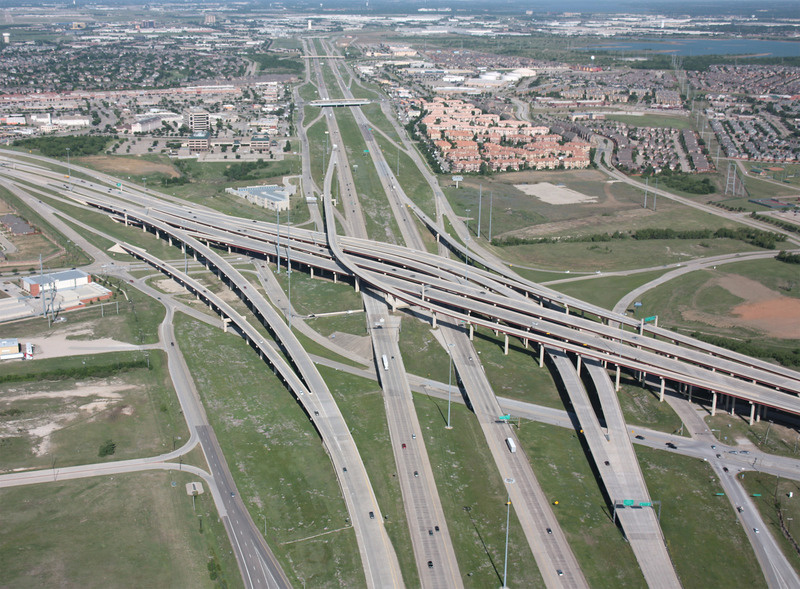 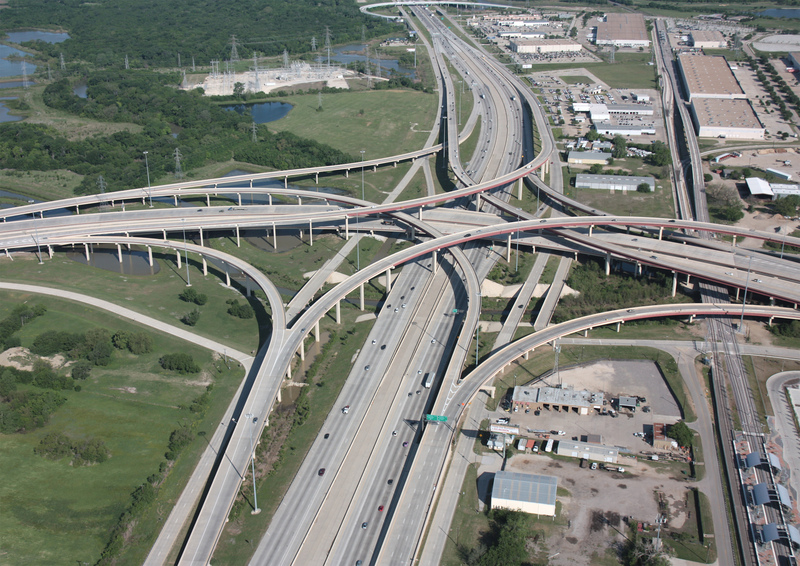 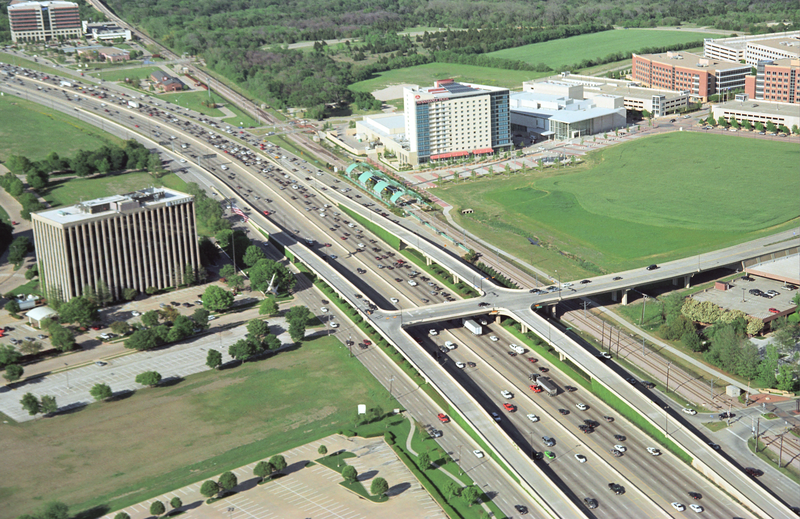 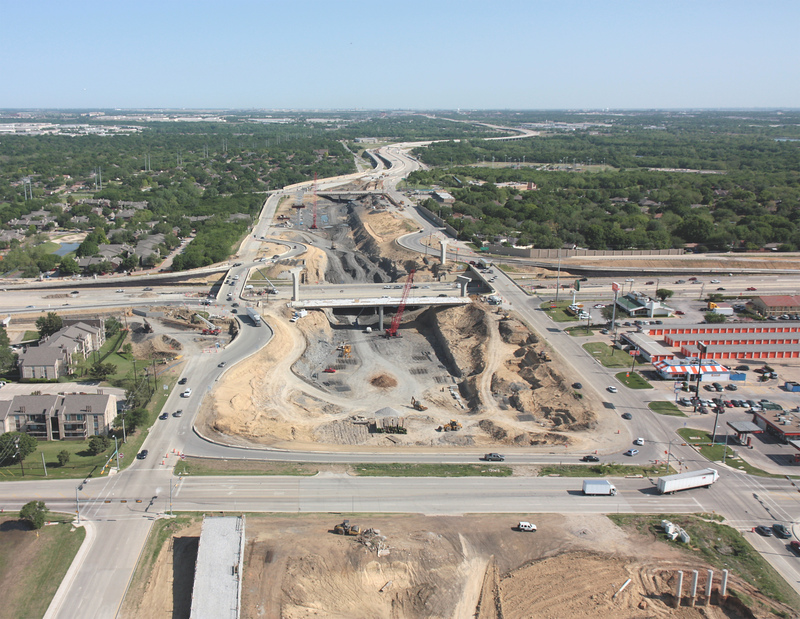 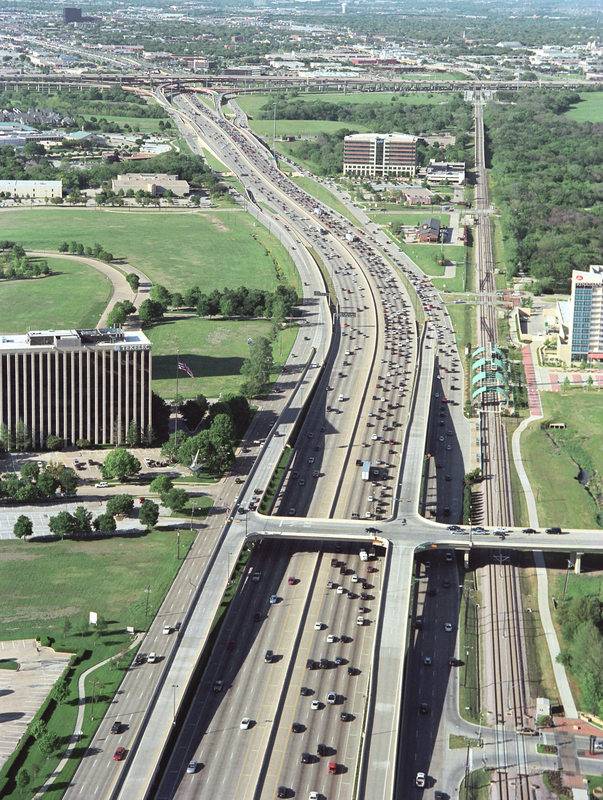 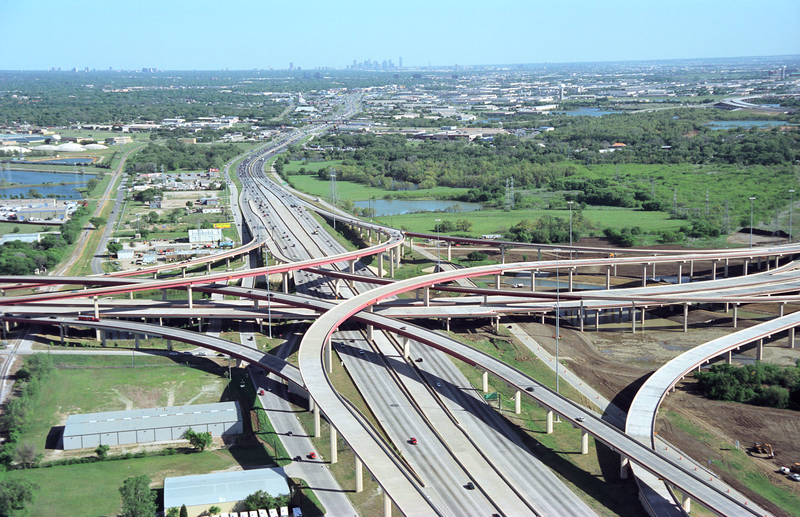 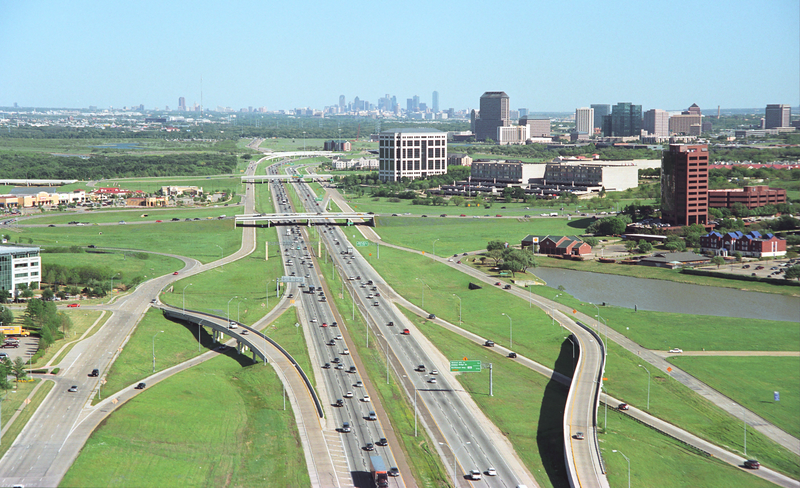 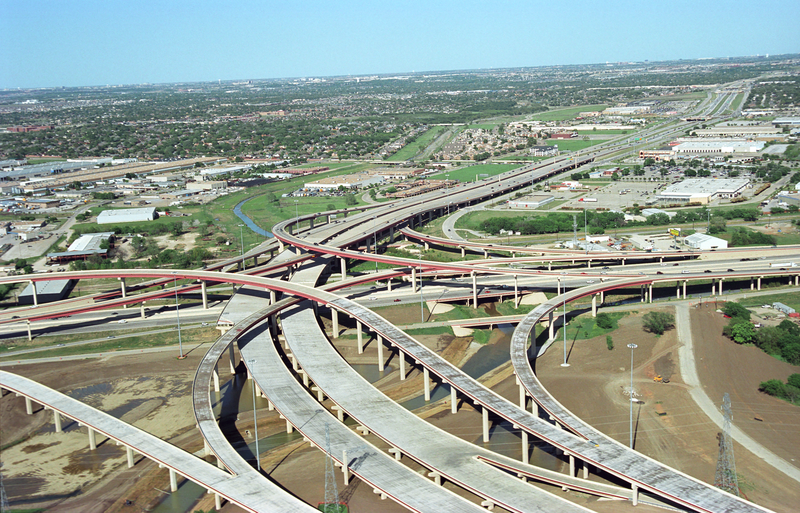 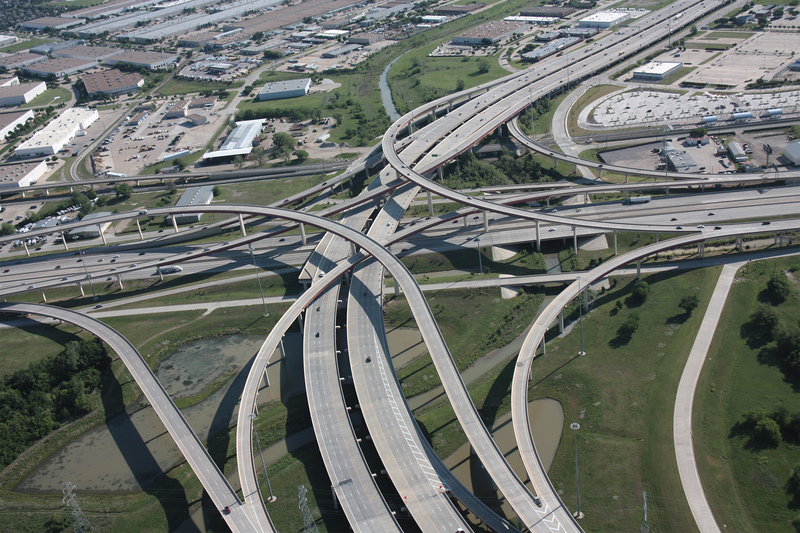 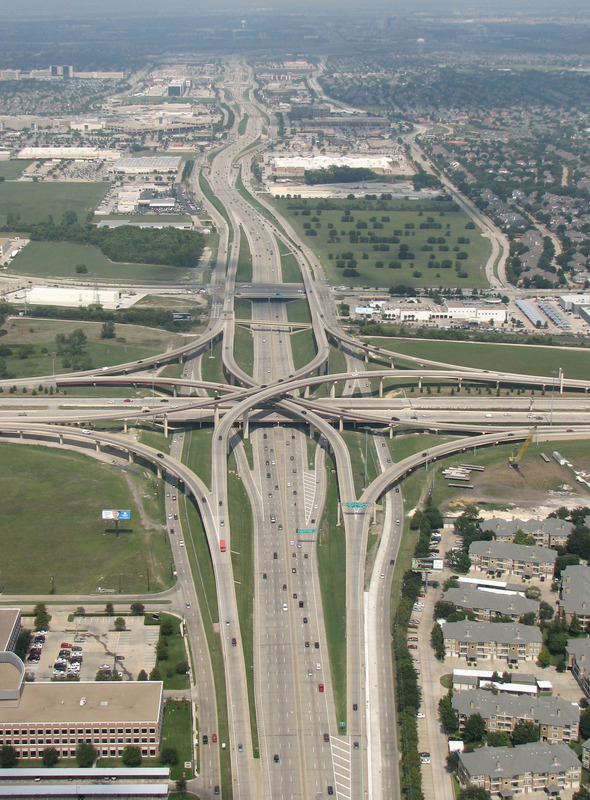 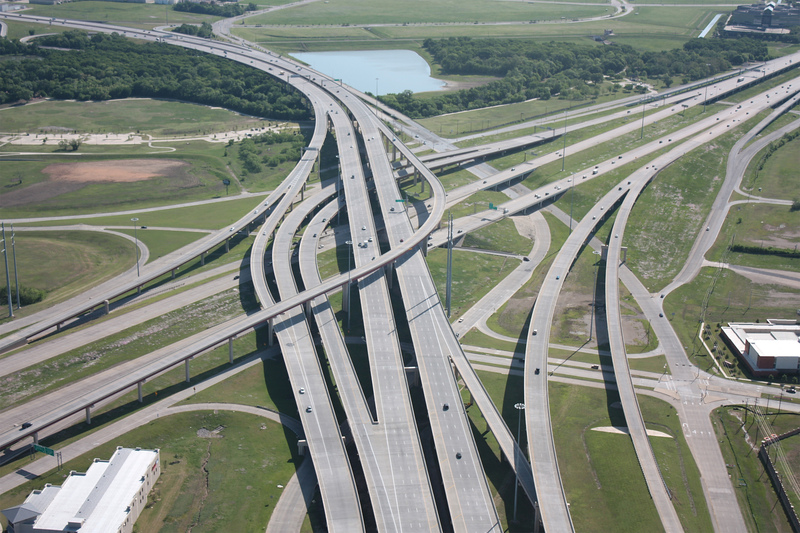 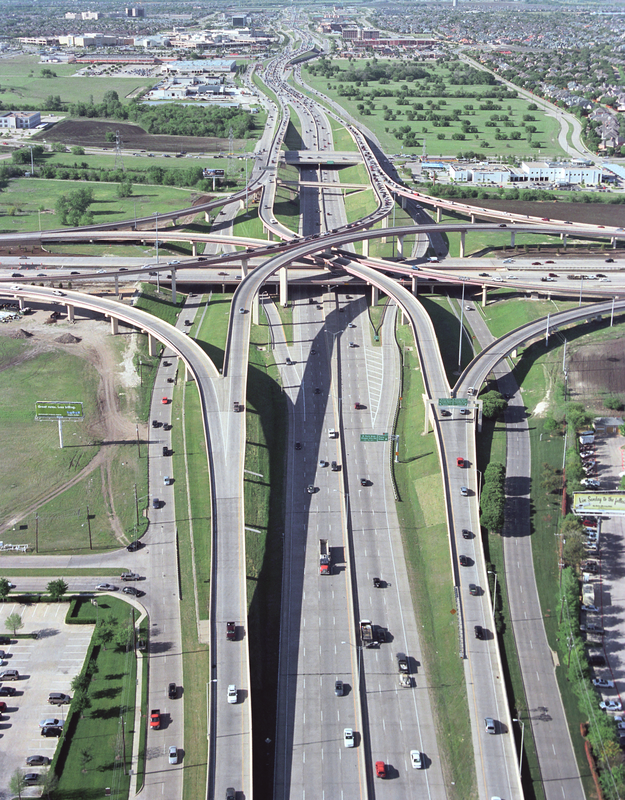 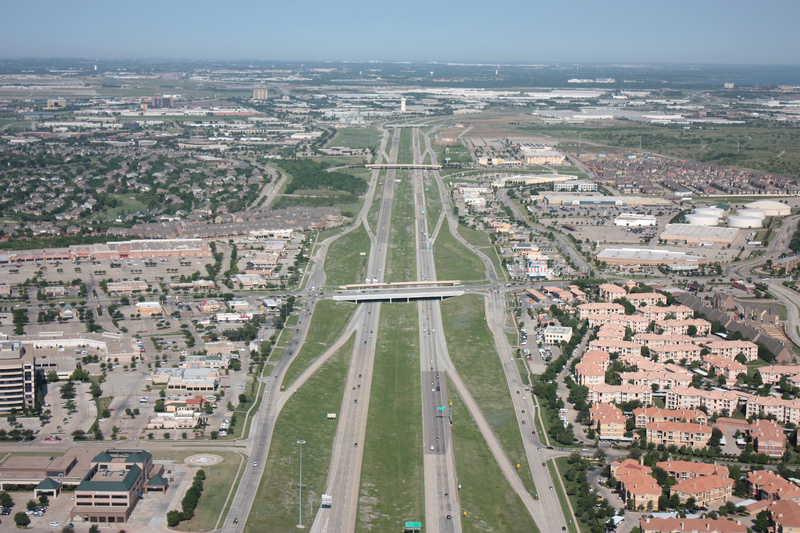 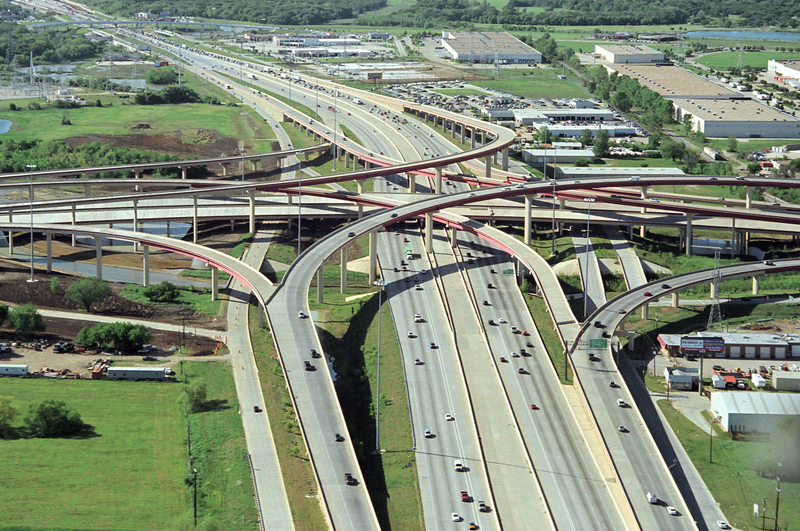 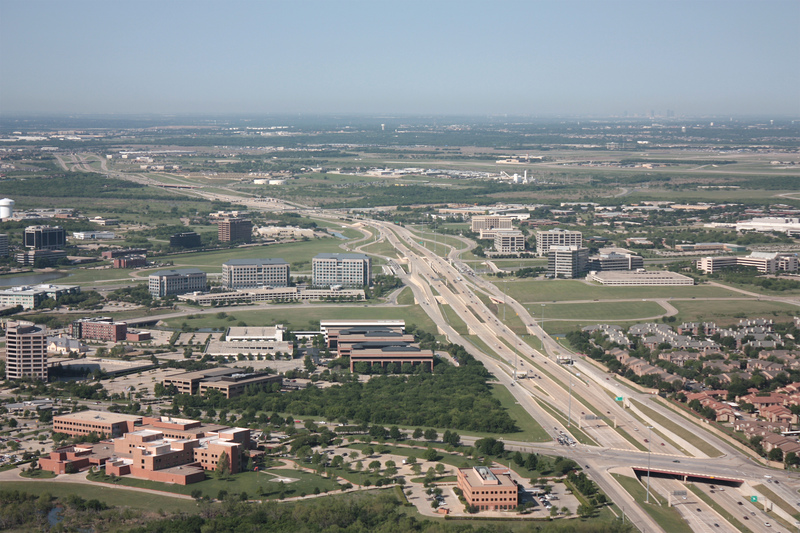 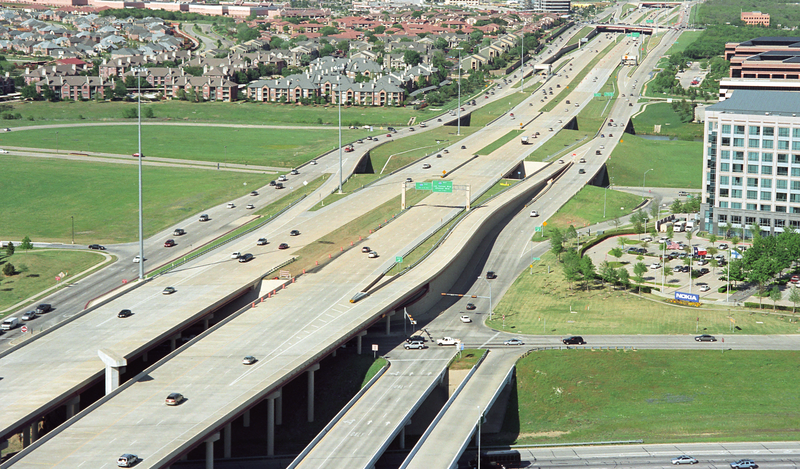 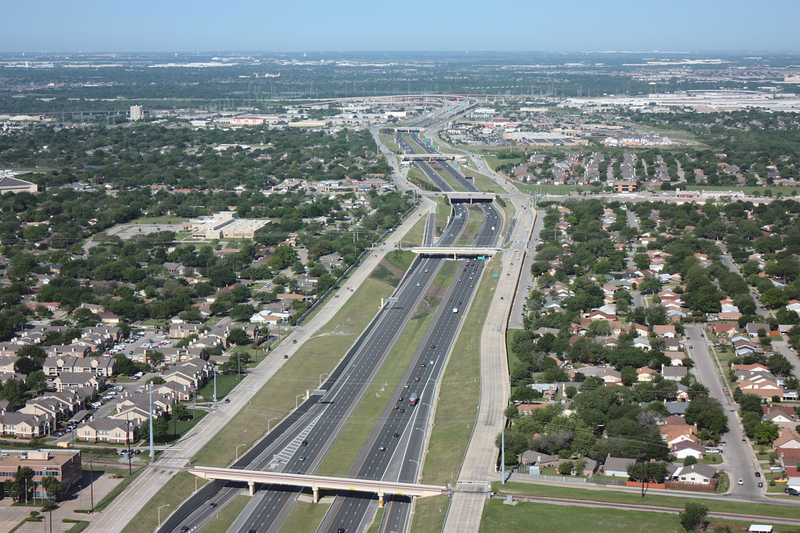 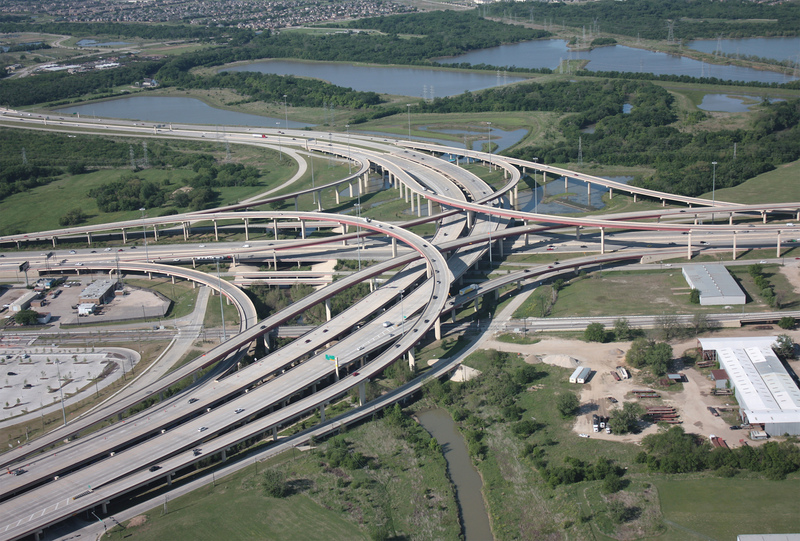 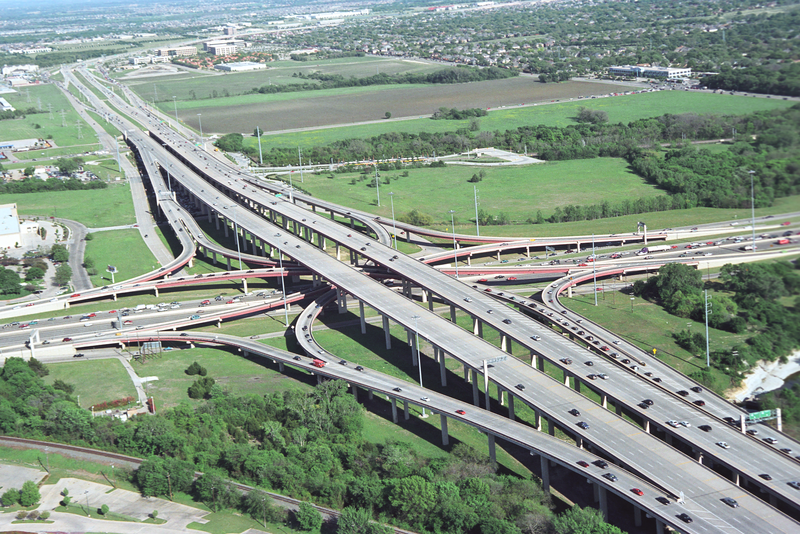 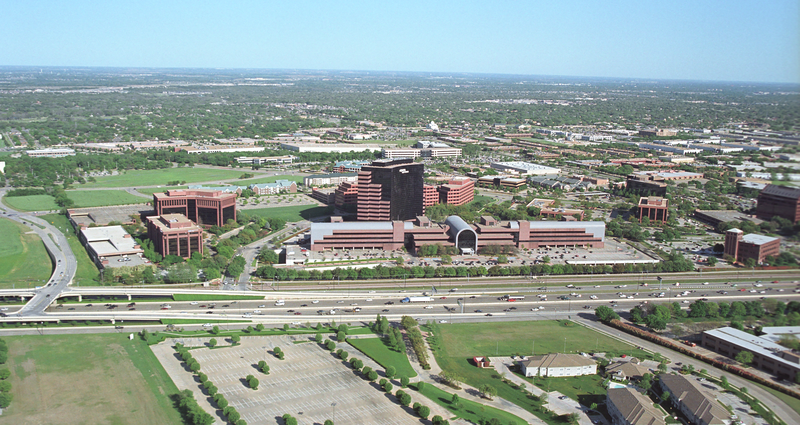 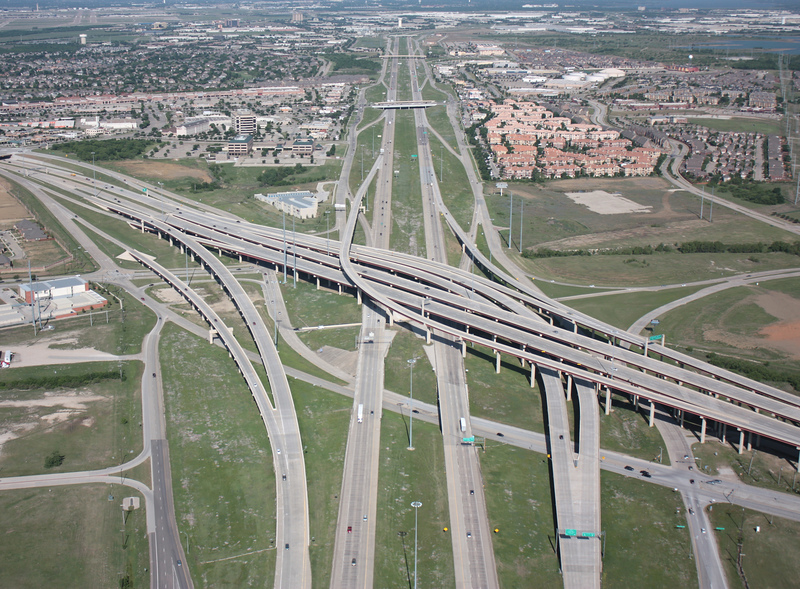 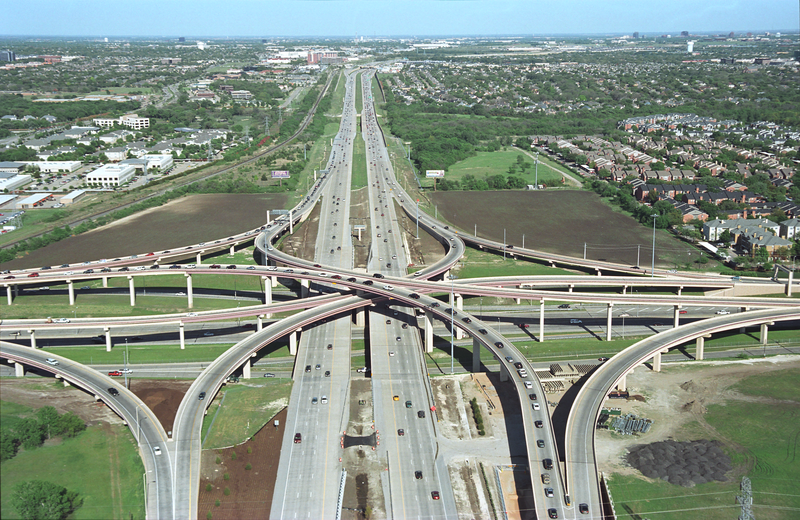 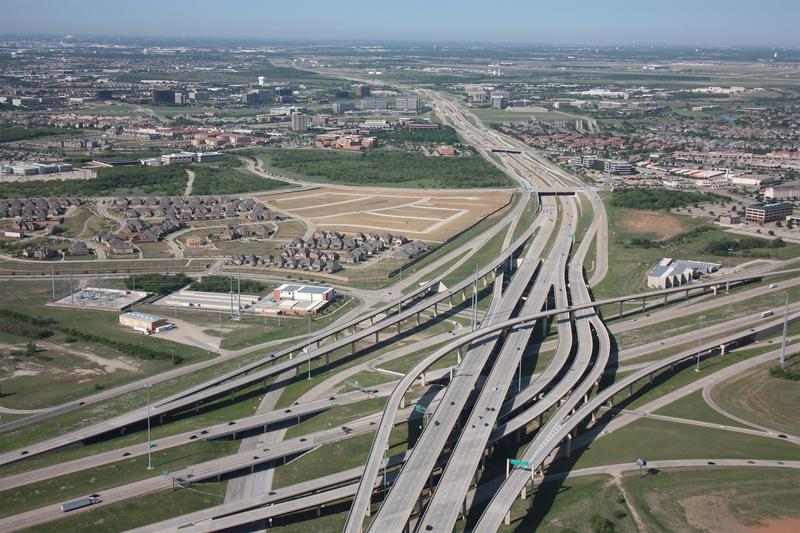 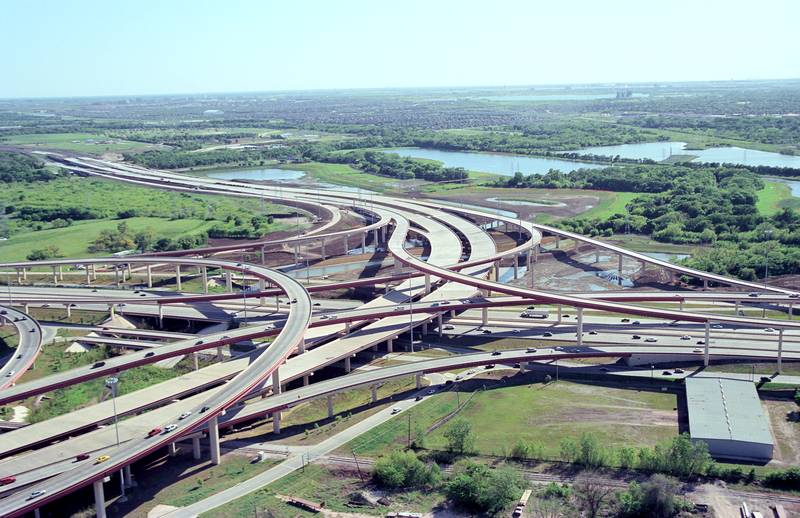 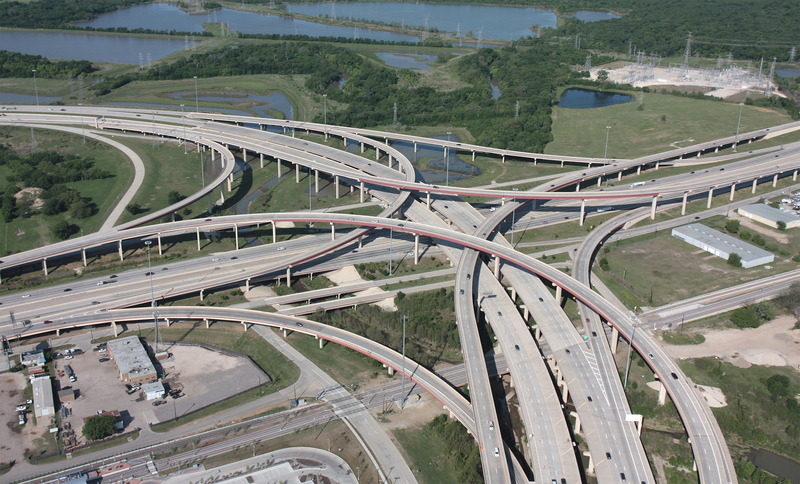 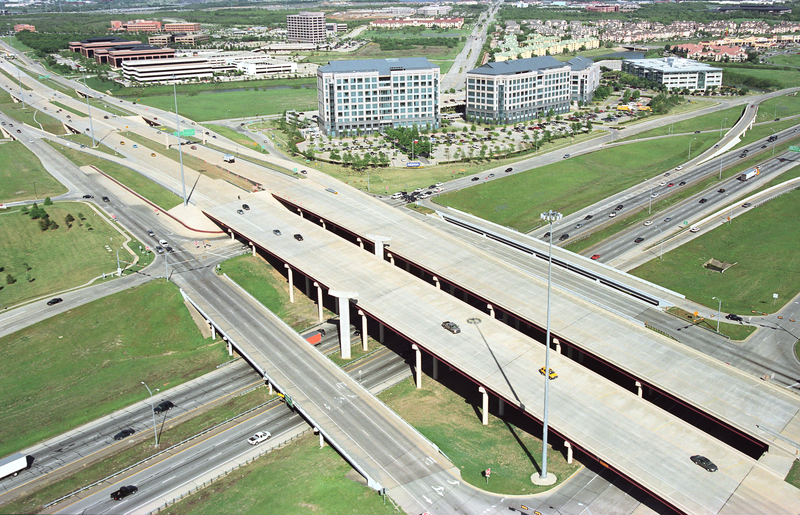 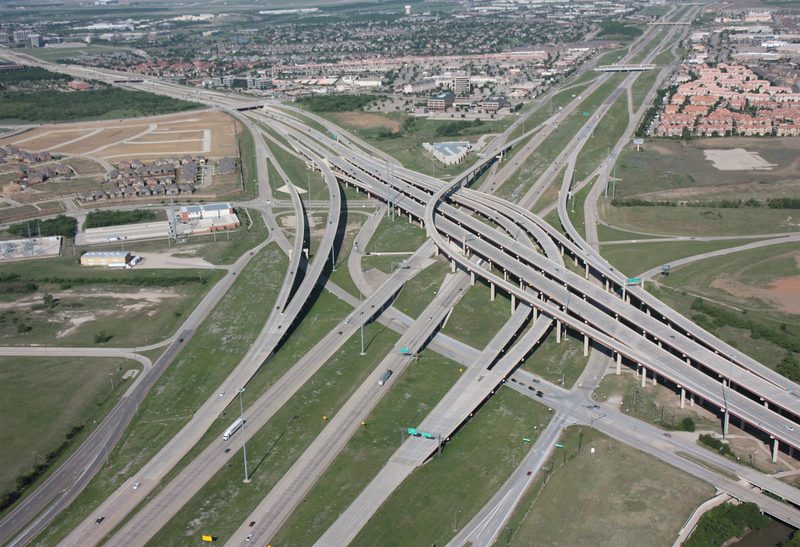 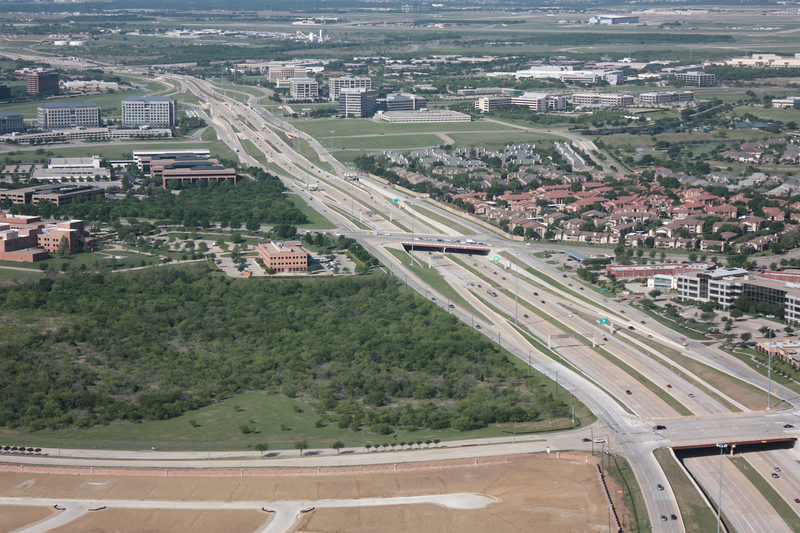 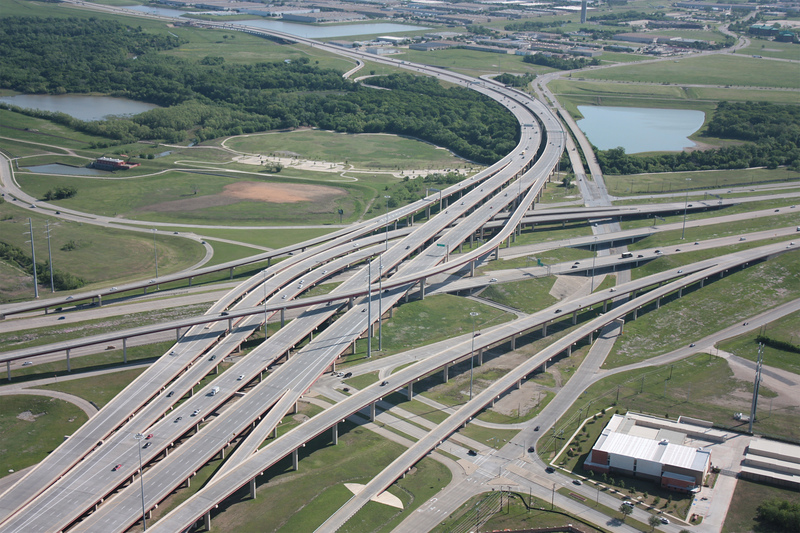 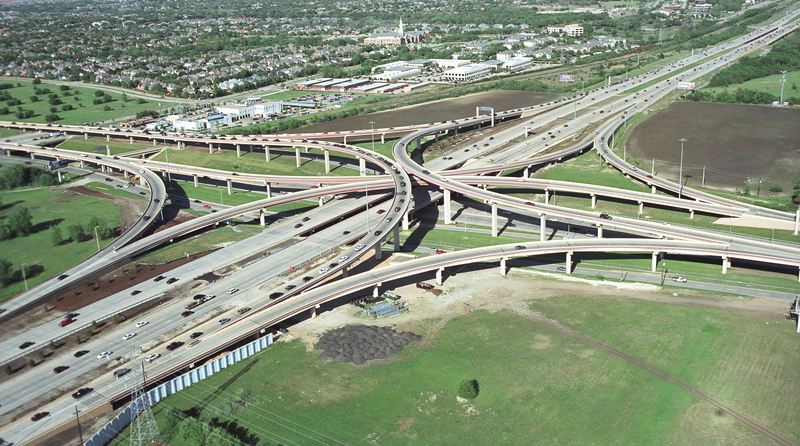 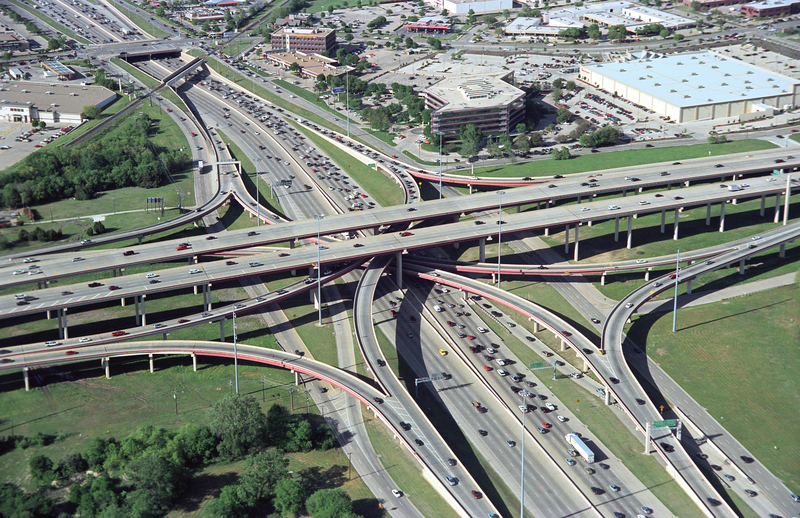 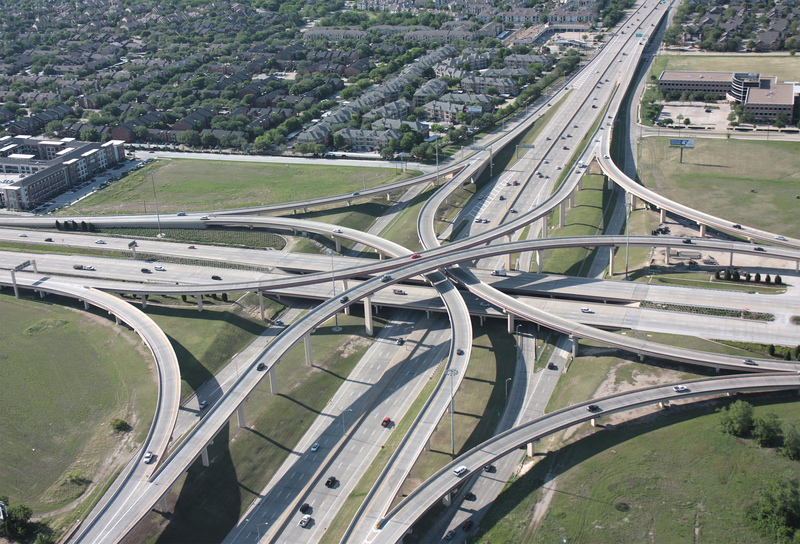 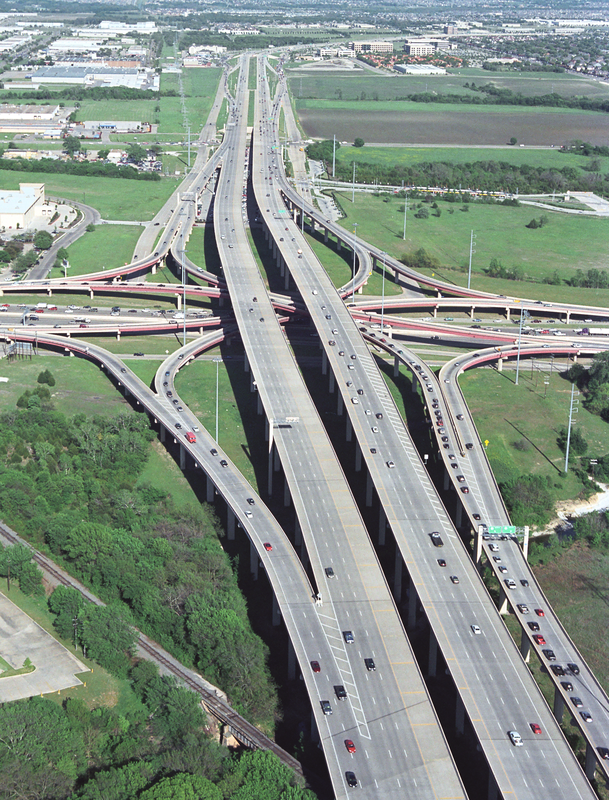 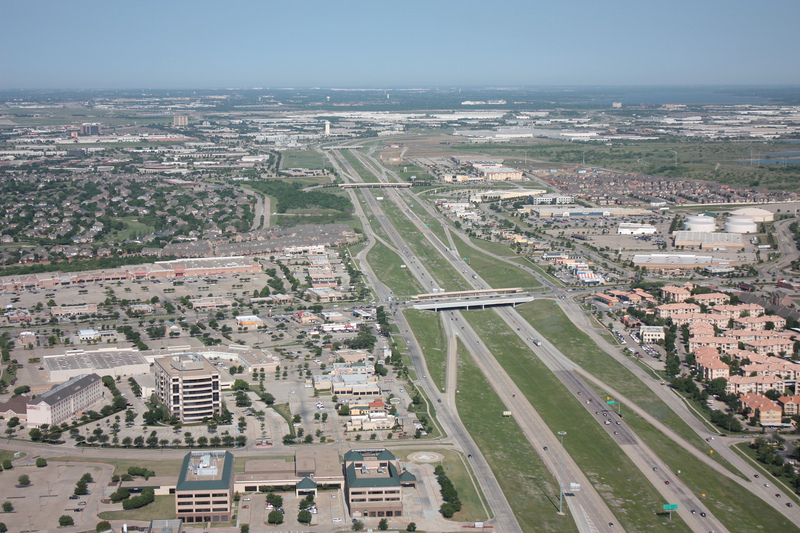 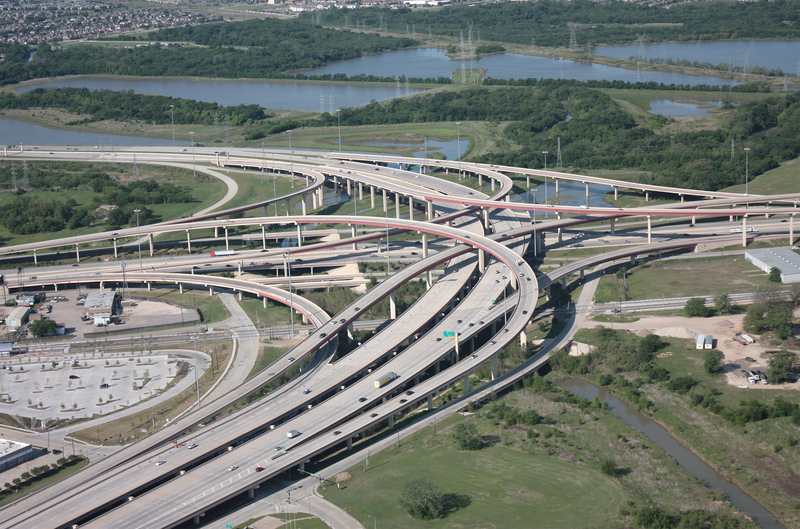 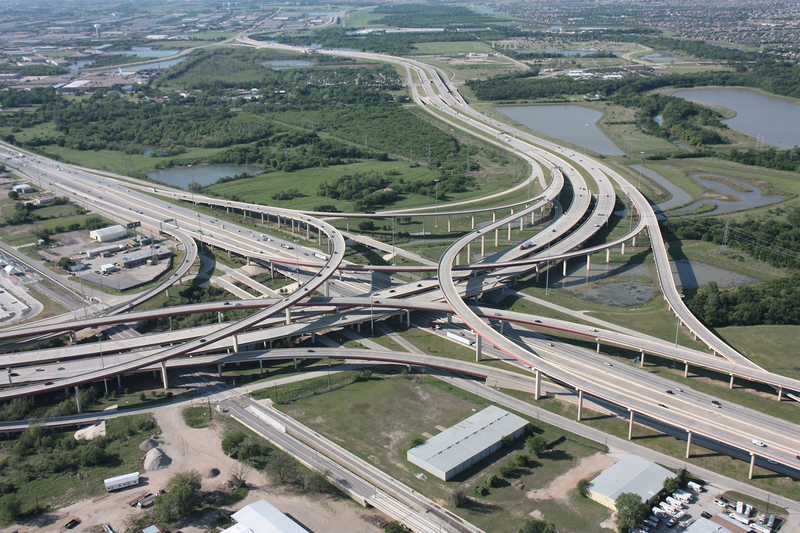 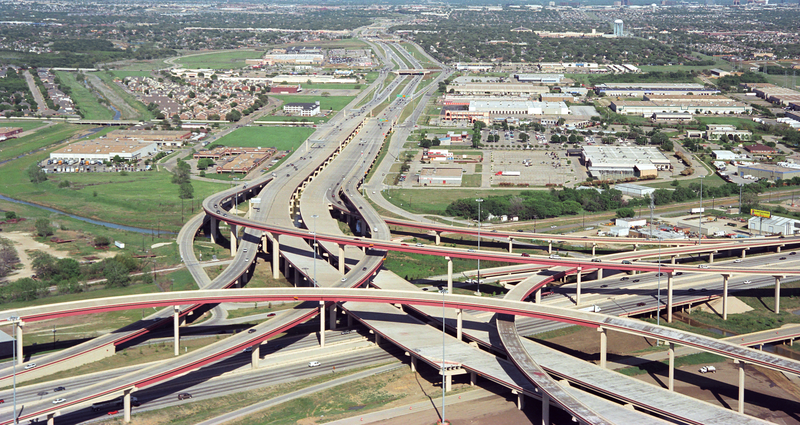 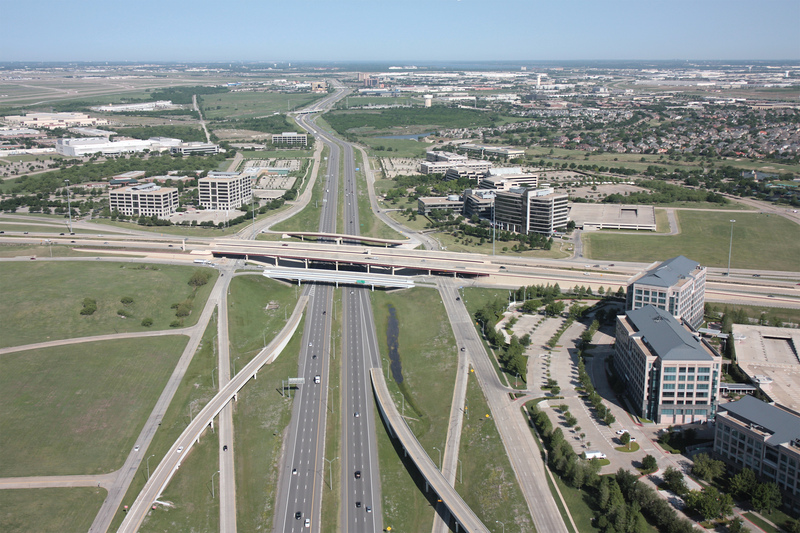 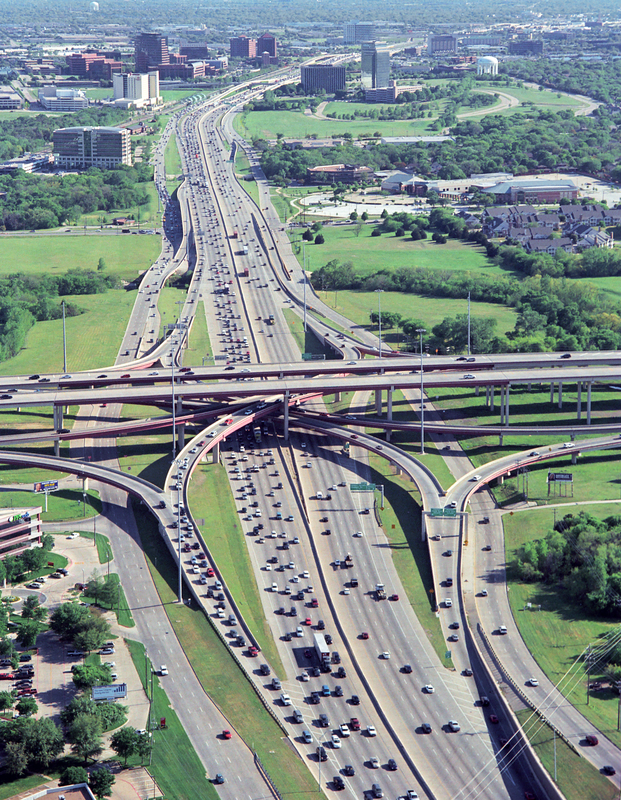 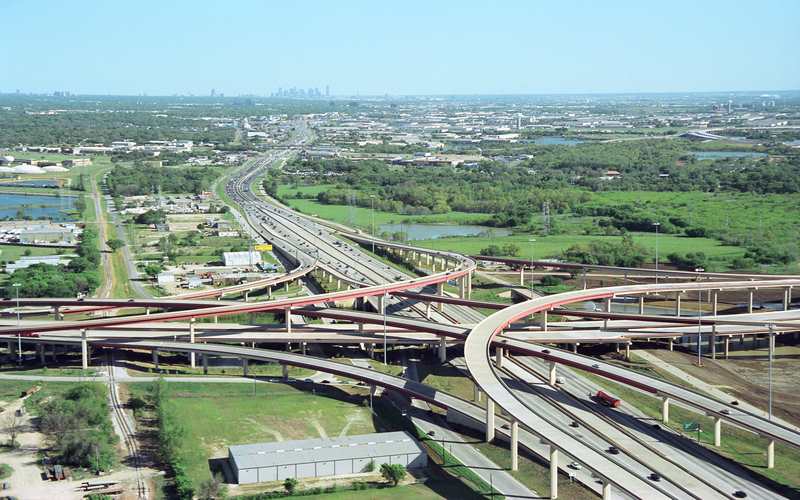 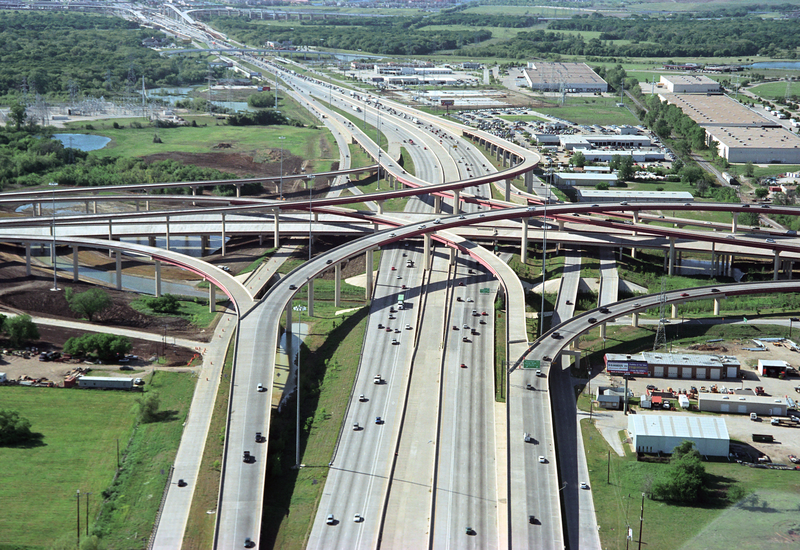 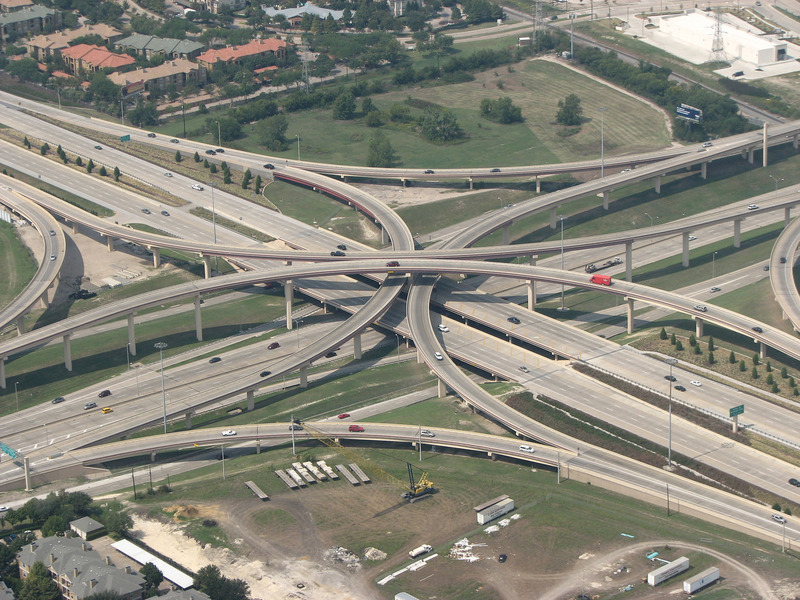 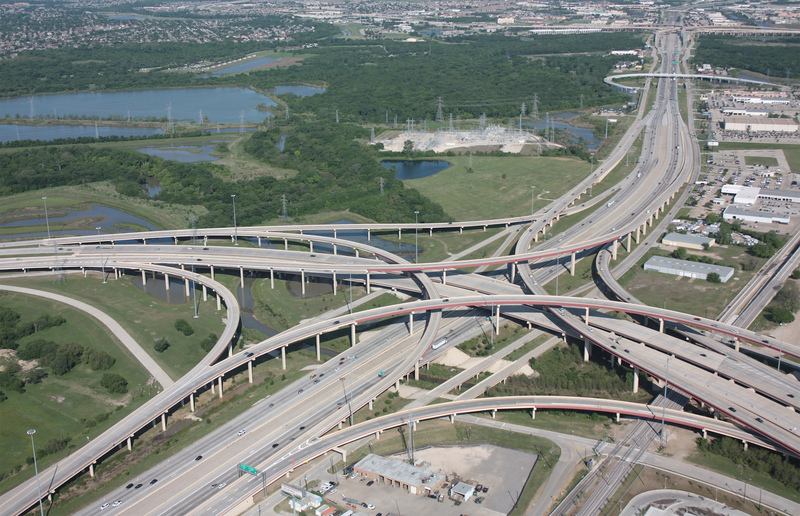 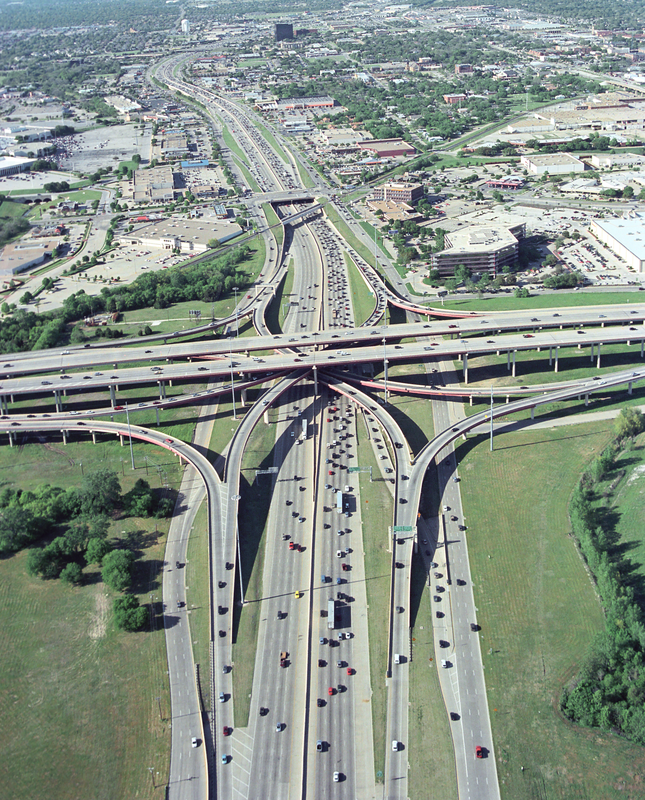 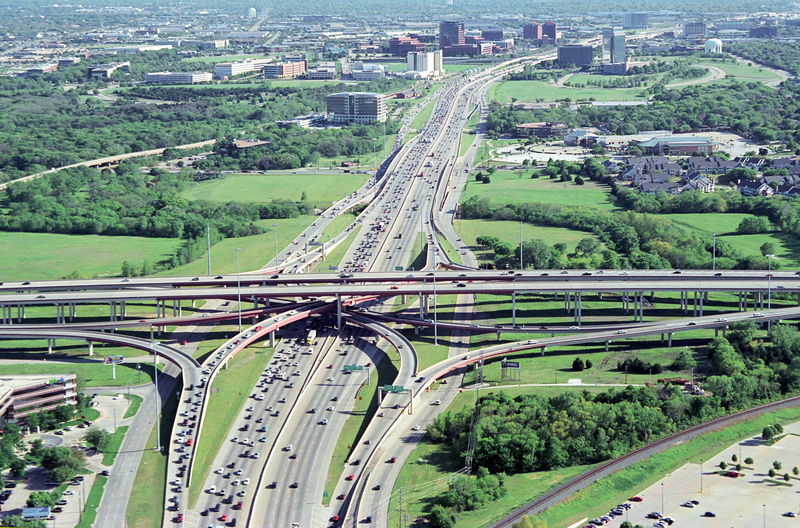 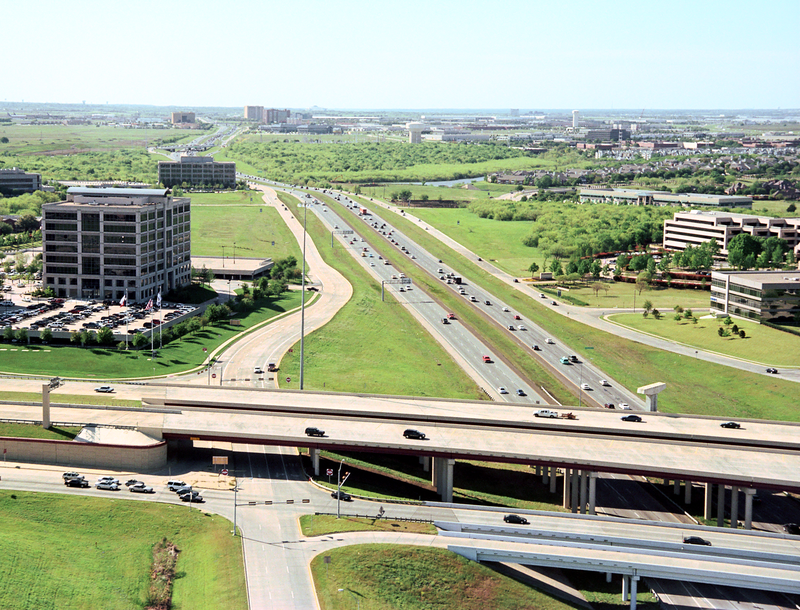 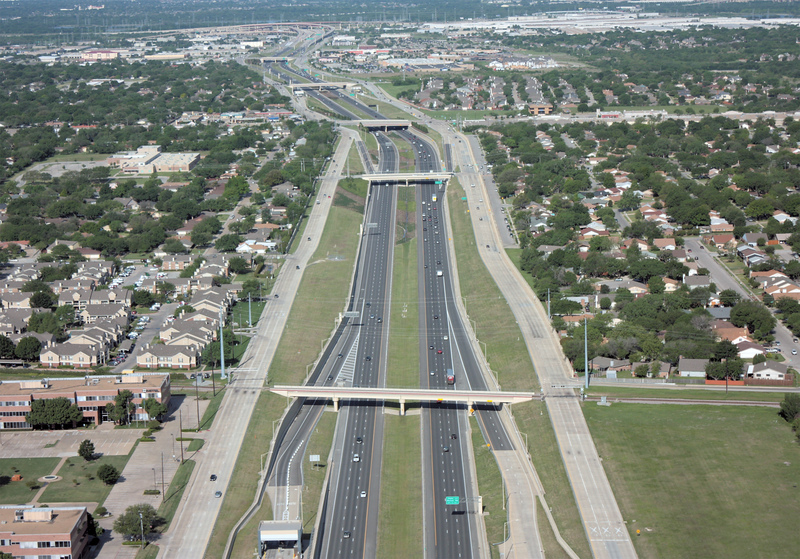 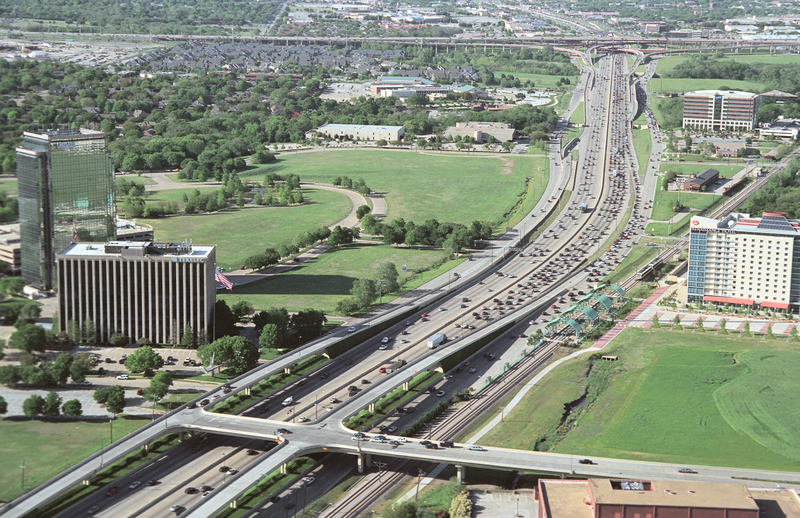 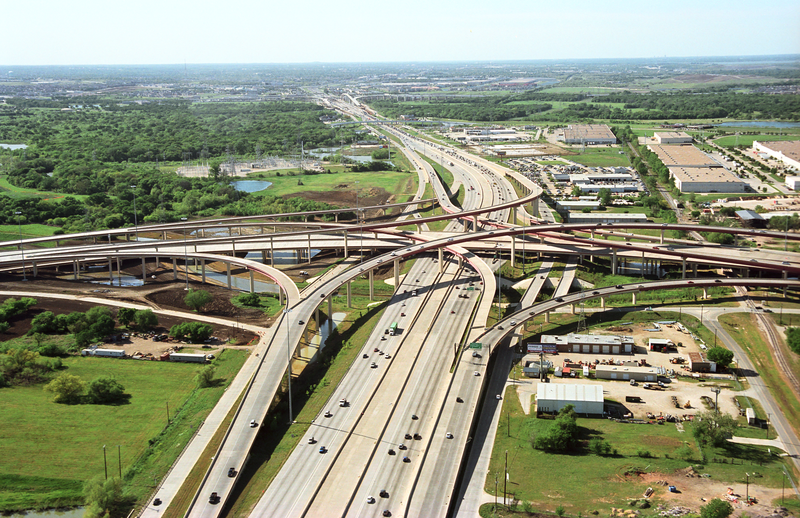 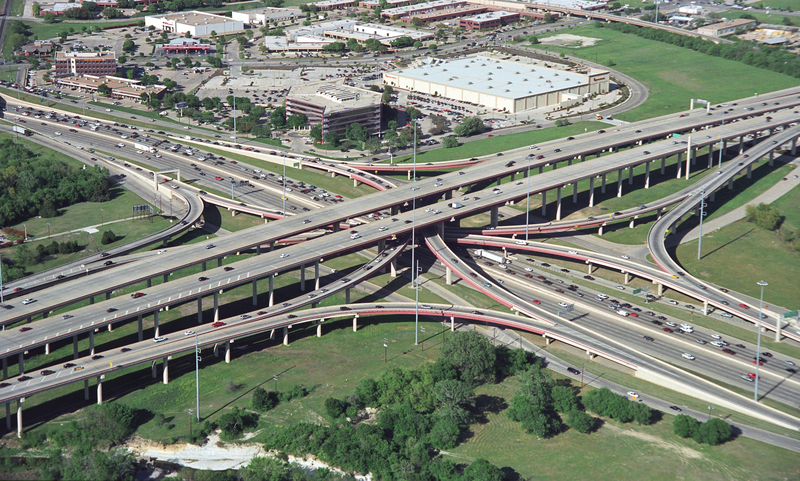 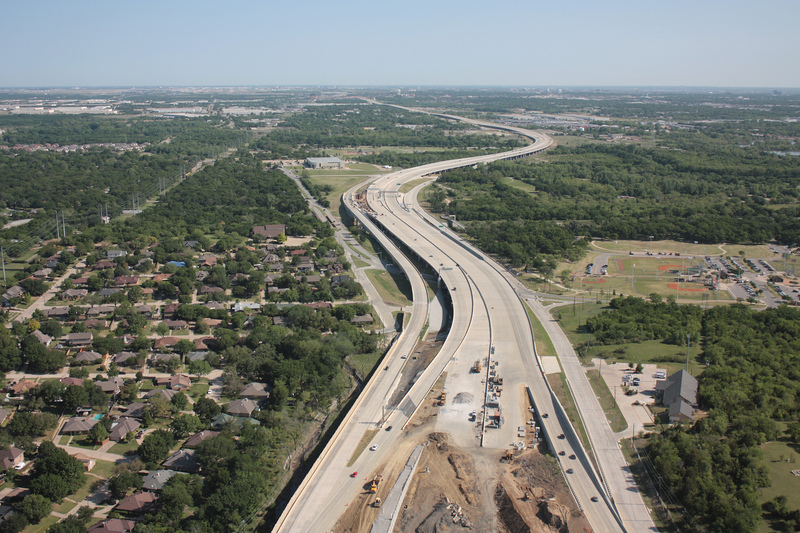 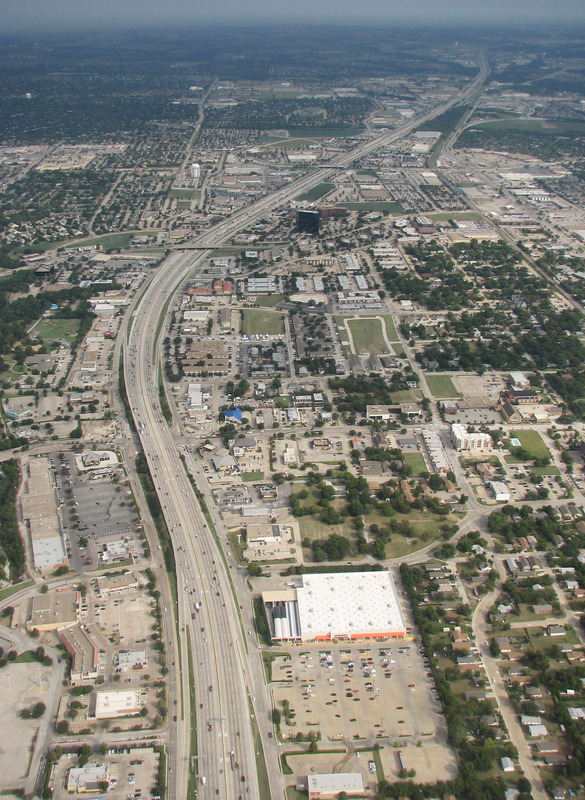 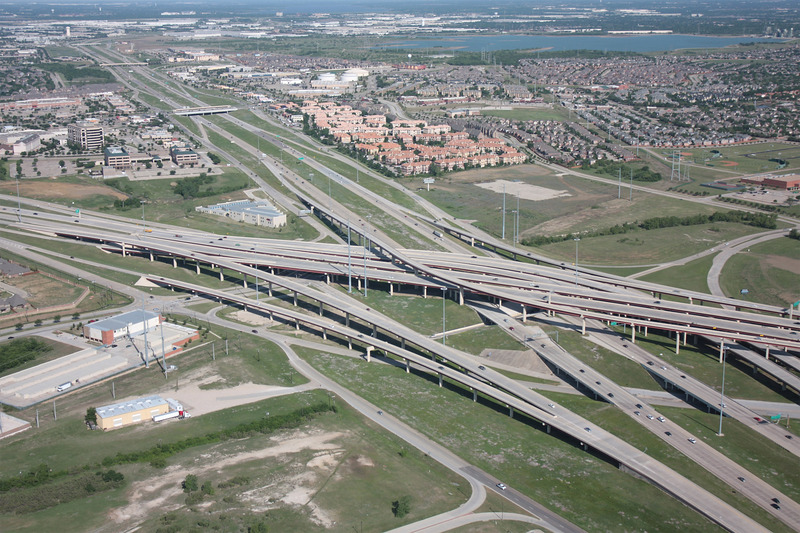 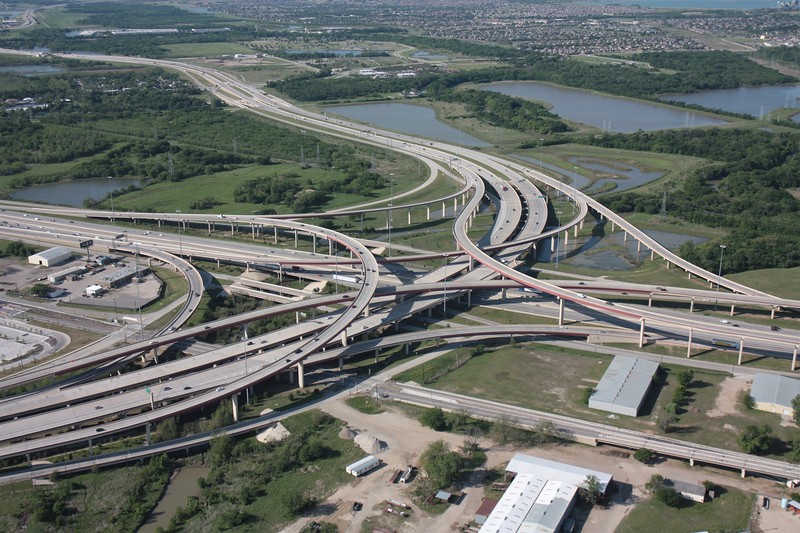 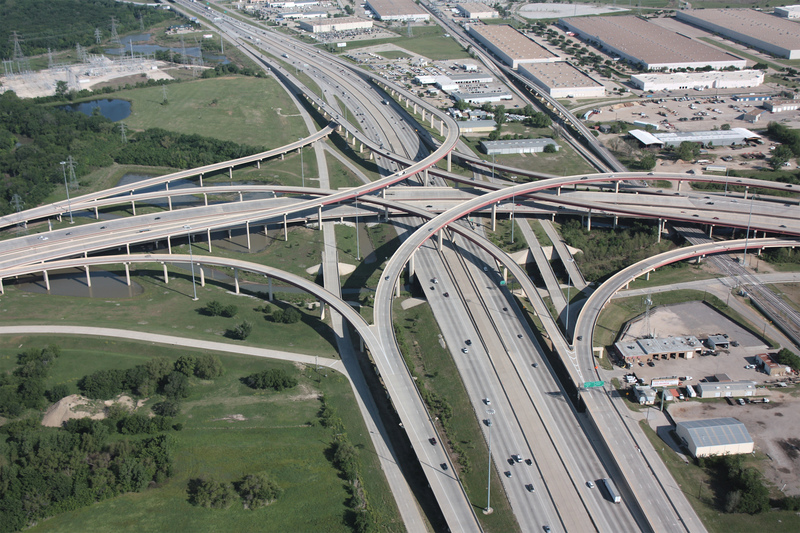 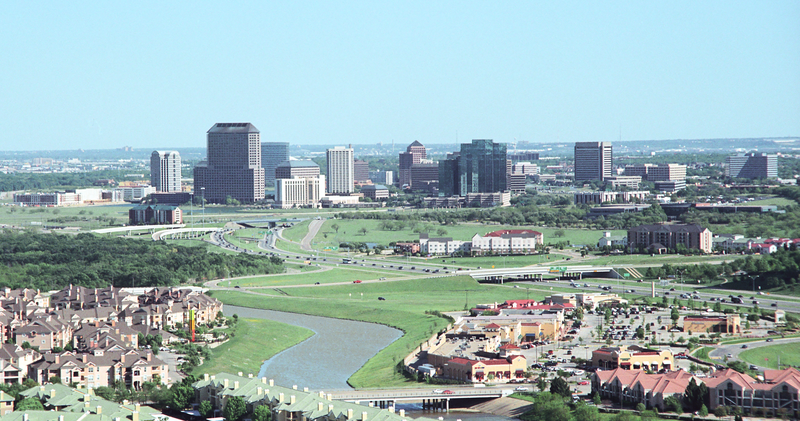 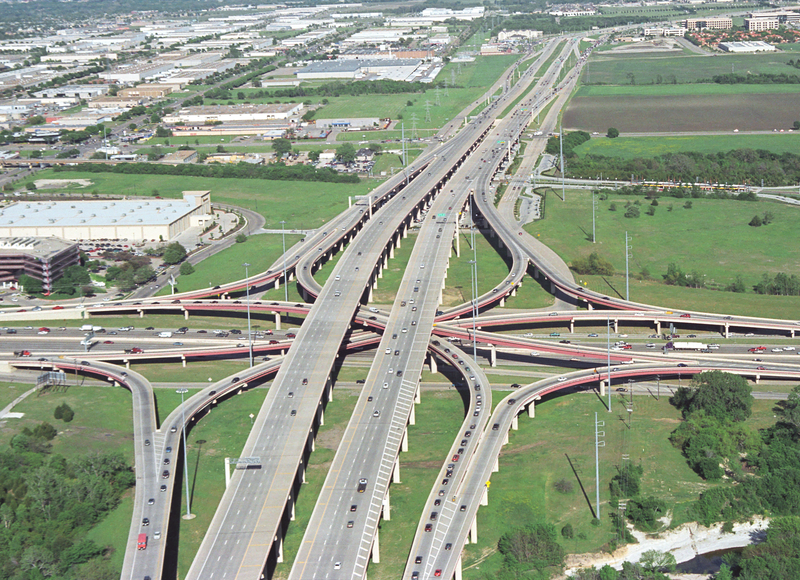 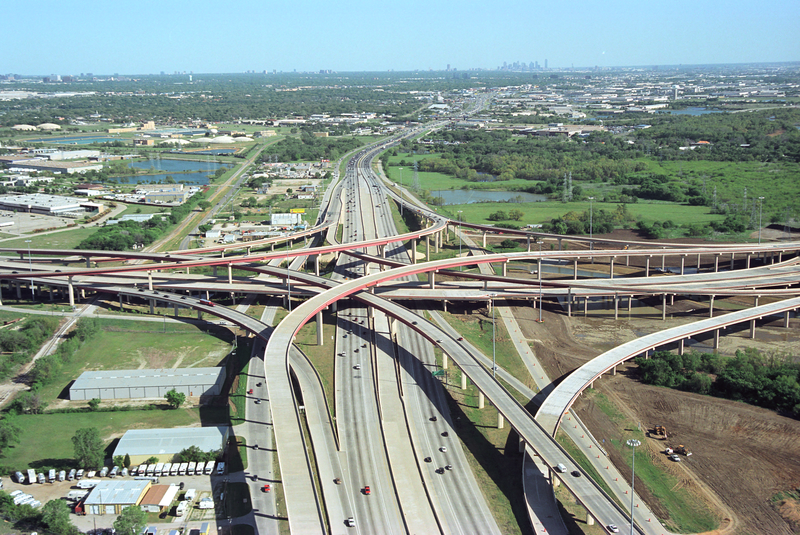 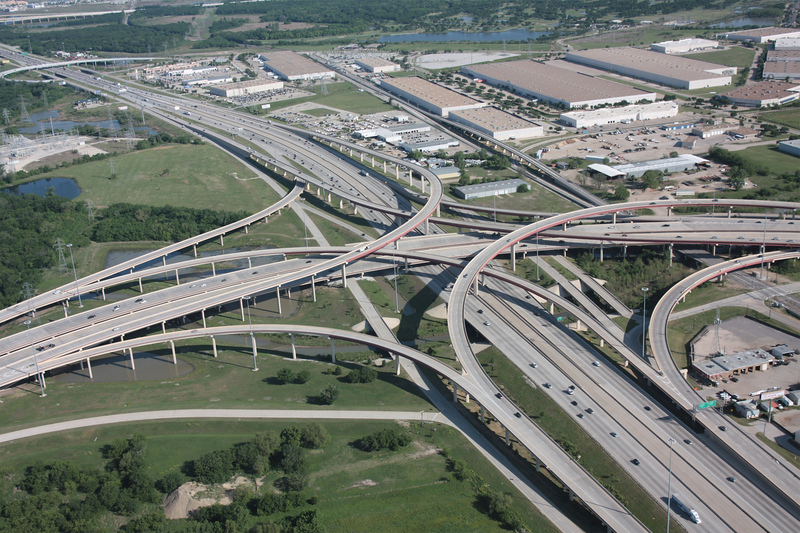 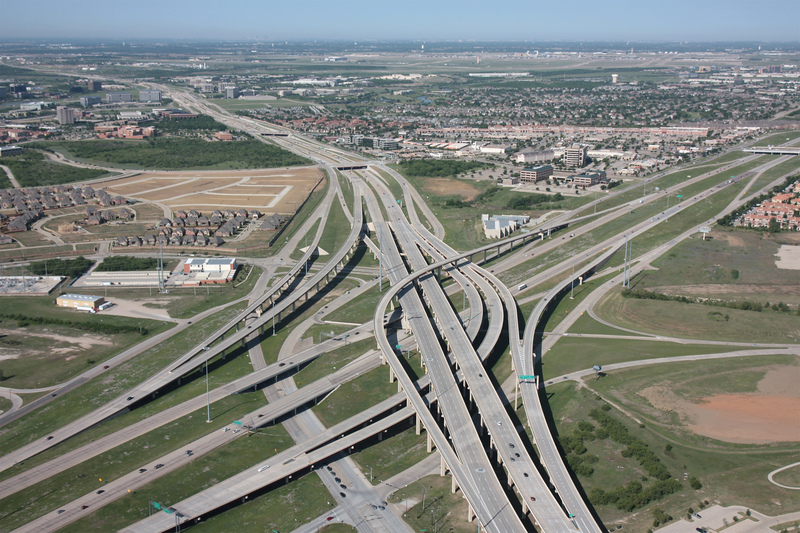 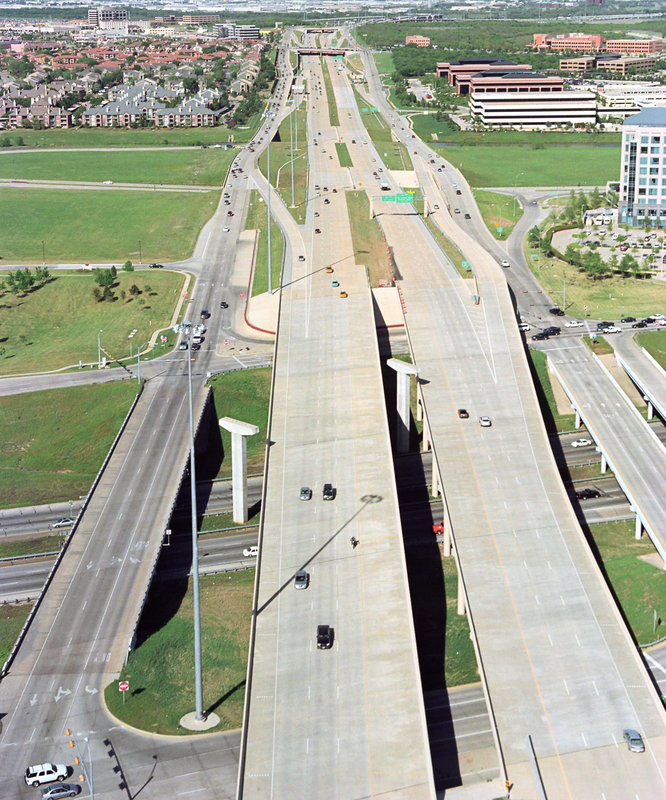 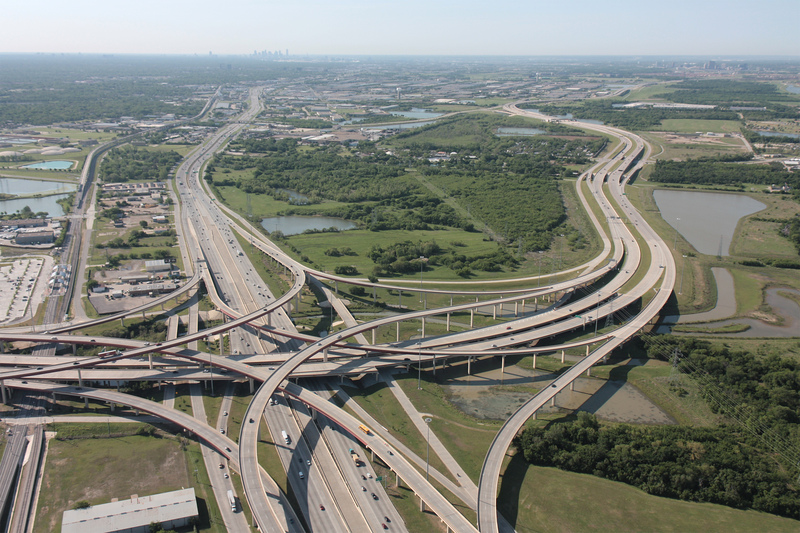 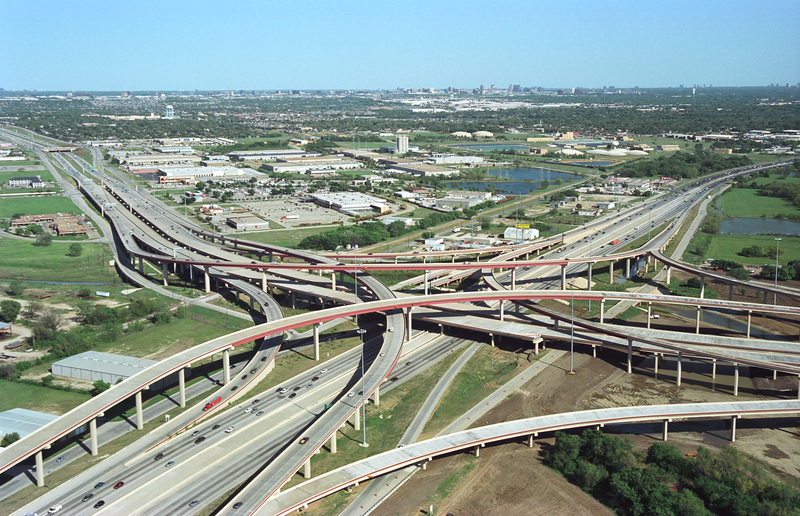 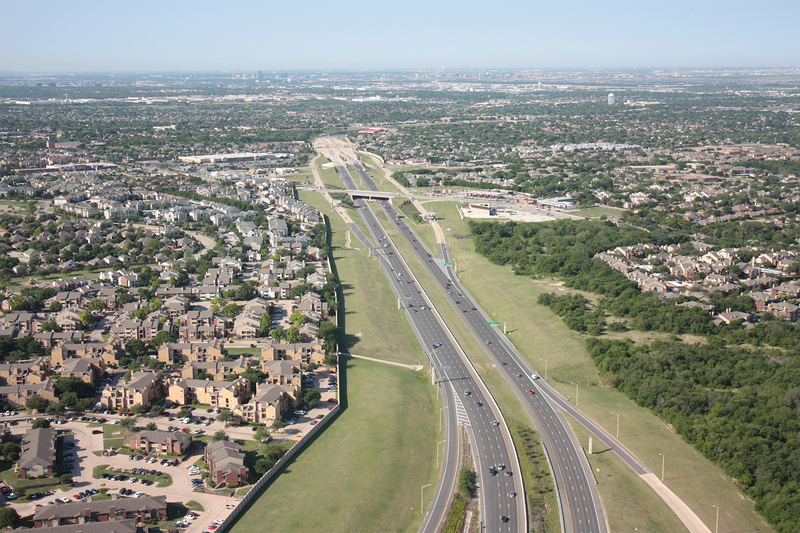 2018 Status: Modification US 75 was widened where it goes under the railroad and Plano Parkway, in the upper part of the photo (completed 2019).